1993 Kenner The Baby-sitters Club Dawn Doll 21"
NO. 66240 PARTY PANTS OUTFIT. A RECENT OLD ESTATE FIND ! CLOTHES AND SHOES ARE VERY NICE WITH NO FADING. 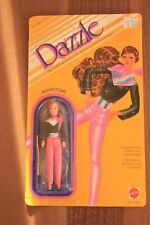 This is for a 12" Kenner Darci doll with curly platinum blonde hair. She has knees and elbows that bend. I did not clean her or comb her hair. Darci Cover Girl, a 1979 Kenner doll, is wearing her original swimsuit, skirt, two bracelets, and two flowers. (no shoes) She has a twist waist, bendable knees, and jointed wrists. Her knees bend and snap back into place perfectly. This is an amazing lot of Glamour Gals! Five dolls are new in the box! The showplace also comes with original box! A few of the dolls that are in their sealed packages have this white stuff on their faces, it looks like it will wipe right off but I did not want to open package and clean them. It will be your choice if you’d like to open them or not. Please refer to photos as the items pictured are the exact items you will be receiving. It will be shipped out the same day it is ordered using Priority Mail (1-3 Day Shipping) and the shipping is FREE! Contact me if you have any questions or concerns and I will be happy to answer! Doll needs hair washed and styled and body needs cleaned. No defects found. All limbs are tight and bend and hold position. Clothes need cleaned and pants may be a little faded. 16 dolls in original clothes, with case and original 1981 Kenner Box. I've taken 11 photos for your close inspection. Condition is Used, noting paint/play wear to body/tail, as expected. Thanks for looking. CHECK OUT MY OTHER LISTING FOR A LOT OF ICY GALS BABY/PET Walrus. Combine shipping by adding $1.00, wait for invoice. Please ask any questions before bidding. Vintage Kenner Darci doll 1978, blonde doll with original clothing. Vintage Kenner Glamour Gals Showplace & 9 Dolls With Clothes & Accessories. Condition is Used. Dolls & clothes could use cleaning. They seem a bit tacky & flimsy. I am not sure of their names but they could be Shara, Loni, Jessie, Danni, Vanessa, Erin, Jana or Blair, as according to research. Only 1 doll is broken, shown with dismembered leg. Shipped with USPS Priority Mail. Kenner Baby Buddies Mattel Tiny Baby Doll Lot 1980's EUC! . Condition is Used. Shipped with USPS First Class Package. Thanks for looking!!! Box has issues as pictured. This is for a lot of 5 Glamour Gals lot. They are all Danni. The first one is Purple Passion (1983). The second one is Sweet Sailing (1983). All of the outfits seem in good shape. All in good shape due to their age. Pink Greta Grabbit and Little Blue Gordan Grabbit. Kenner Glamour Gals dolls lot #3. These dolls are in preowned condition. The arms and legs are moveable. Cute and in ok condition. You have to have her balanced and she will stand. If you have her on a sturdy foundation, she does work. Estate find. This is on the original cardboard, with its zip tie on it. VINTAGE 1980s Kenner GLAMOUR GALS Showplace 19 Dolls. Condition is Used. Shipped with USPS First Class Package (2 to 3 business days). These dolls are very old and some are sticky from being so old. 9 dolls are in the package still. Vintage Kenner Rose Petal Place Iris African American Doll 1980s Mint. Condition is New. Shipped with USPS Priority Mail. 1985 Hugga Bunch Impkins & Hugsy Dolls. Condition is Used. How cute is this?. Jewelry box is in fabulous shape and has minimal wear. 1984 Rose Petal Place Doll Kenner. Condition is New. Shipped with USPS First Class Package. 11 dolls with clothes (1 boy) ~ 1980s Kenner Glamour Gals ~ dolls and clothes are great but 1 doll has had her hair cut and another is just a rubber bendy doll. Kenner Hugga Bunch Collection Precious Hugs Doll With Baby 1985. Condition is Used. Shipped with USPS Priority Mail. 1991 Kenner Baby All Gone cherries spoon replacement. Condition is Used. Shipped with USPS First Class Package. Please see all pictures for condition. Included from left to right is Jana, Loni, Danni, and Jessie. Original outfits and in good condition. Dolls, clothes and show case. 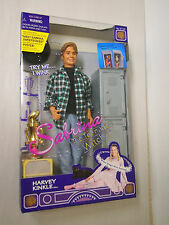 Loved these dolls in the 80’s! Vintage Kenner Sea Wees Tropigals African American Pear And Baby Scale . Condition is Used. Shipped with USPS First Class Package. THE BOX IS USED BUT STILL ORIGINAL. This is for a lot of 4 rare Glamour Gals. They are all Vanessa. The first one is Softly suited (1982), The second one is Sky Blue (1982) The third one is Sweet Surprise (1982) & the last one is Wedding Belle (1983). They are mint and unused. Ten of them are still sealed in their original baggies. These were made by Kenner in the 1992. BABY GIGGLET. SERIES: HUGGA BUNCH. RELEASED AT: TACO BELL. FROM: HALLMARK. RELEASED IN: 1984. FROM 1970 BIONIC WOMAN RARE " LIME " DRESS W/ ORIGINAL WHITE SHOES EXCELLENT. Vintage 1970 Kenner Hasbro Crumpet Doll. Condition is Used. Shipped with USPS Priority Mail. Here is a 13 inch KENNER BABY WET AND CARE DOLL WITH BOX 1978. ..doll is in good condition.. the doll has a diaper that has been taped(see pic) and the hair is a little messy under the cello ,but does not look played with. the box has a small amount of wear and some tape marks, but nice and bright. Buyer pays shipping of $14..payment is due 7 days from the end of the auction.Check out my other auctions for more dolls and figures..I will combine shipping when possible..
Vintage Kenner Hugga Bunch Precious Plush Doll Blonde Blond Yellow Hug 1985 17"